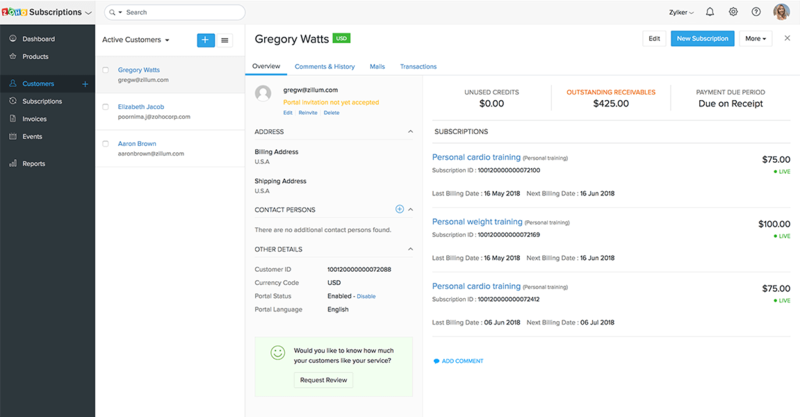 Managing customer subscriptions is a cinch with Zoho Subscriptions. 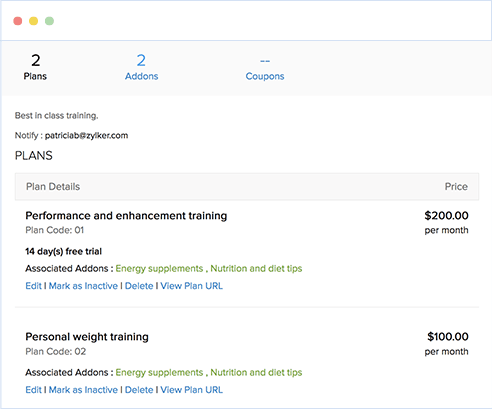 Subscription management gets complicated when customers have multiple subscriptions. Make it easy with Zoho Subscriptions. 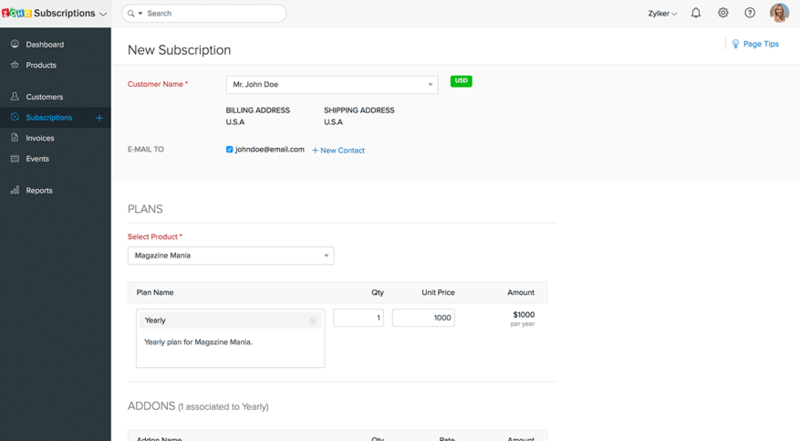 You can send a single consolidated invoice to a customer who's subscribed to multiple products or services as well as adjust their credits. Zoho Subscriptions lets you add and manage multiple pricing plans to your product or service. This enables you to reach out to a wider range of potential customers. 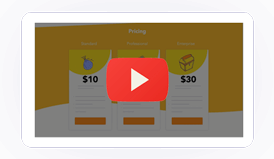 You can get a sneak-peek into all the pricing details from a single screen. You can also allow people to take your products for a spin, by offering a trial period. Promote your business and increase sales using coupons. 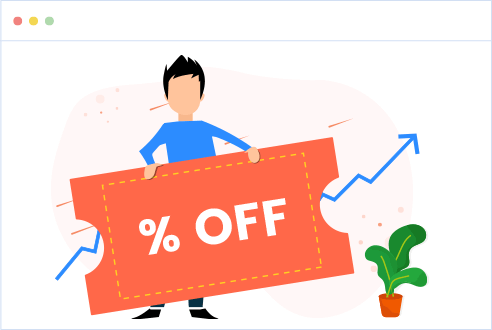 Create a variety of coupons to get your customers to try a newly introduces service, or cross-sell products and manage said coupons in Zoho Subscriptions. 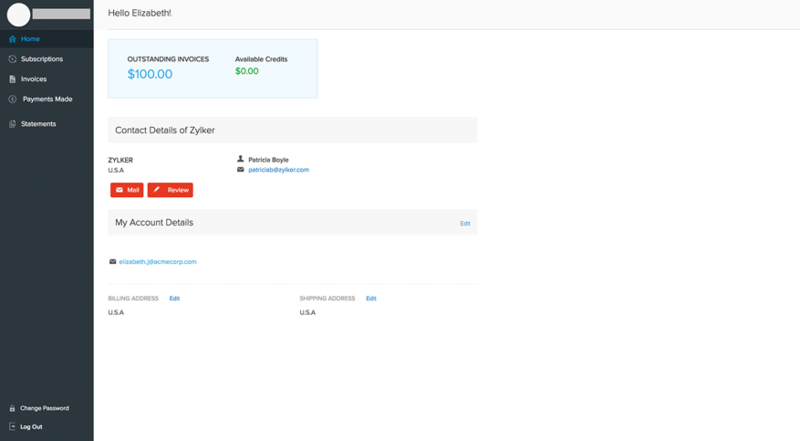 With Zoho Subscriptions' Customer Portal, your customers can view information regarding their subscriptions, invoices, payments made, and statements themselves, without having to wait for you to send them information. They can also update their card and contact details right from the portal. Zoho Subscriptions provides a horde of features to make your billing effortless. 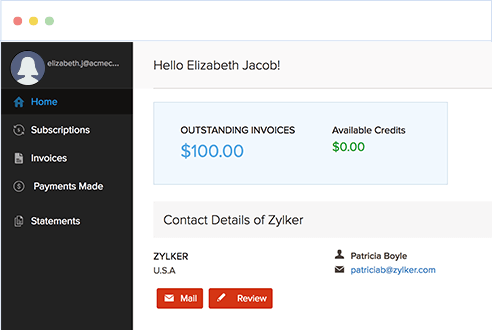 Simplify customer subscription management with Zoho Subscriptions.